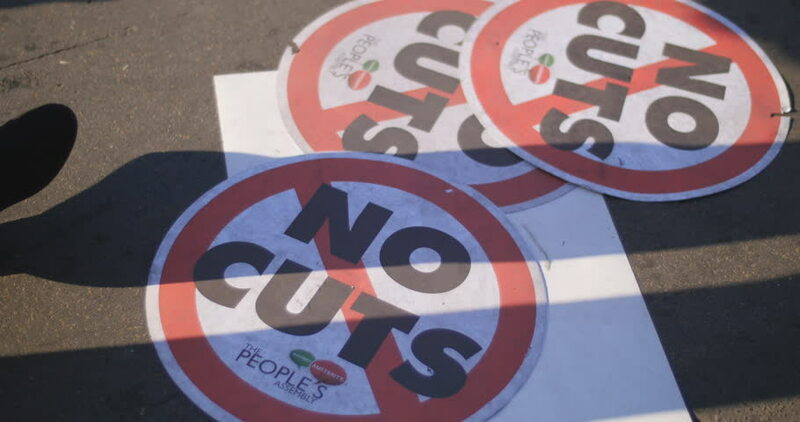 No Cuts - - The Peoples assembly. Discarded No Cuts sign after protest in London June 2014, the Peoples Assembly that puts people and planet before profit. hd00:13Metallic rotating gears from gear series. All numbers forming a loopable background (last 160 frames). Easy to keying (key out color #000000). Seamless loop. hd00:17Car tachometer and moving pointer on it. hd00:26In the preparing the composition of the beauty salon for hair dye.